Many marriages dissolve because of financial issues. When couples reach the point of having more debt than they can manage, it can put enormous stress on everyone involved. In many cases, it makes sense for divorcing couples to also file bankruptcy so they can clean up their finances and have a fresh start. Bankruptcy in divorce involves competing legal issues and can become quite complex. If you are facing this situation, it is essential to be represented by an attorney with an in-depth understanding of both areas of the law. At Mevorah Law Offices LLC, we have been providing skilled representation to clients throughout Illinois for over 35 years. Our attorneys have extensive experience with family law and divorce matters. We have been recognized by our peers not only for our skill and experience, but for our unwavering commitment to serving the needs of our clients. Our lawyers are honest, compassionate, responsive, and down to earth. We keep extended evening and weekend hours for your convenience, and we stay in contact regularly to keep you updated on the progress of your case. When you are confronted with a bankruptcy in divorce, our legal team works collaboratively to provide the most practical and effective solution to ensure you will emerge from your divorce in the best possible financial position. 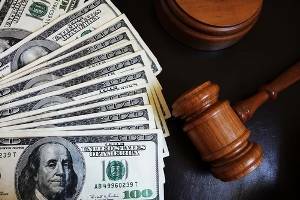 Lower Costs: The court filing fee is the same for both individual and joint bankruptcies. Filing before the divorce can save you and your spouse on legal fees. Fast Processing: A Chapter 7 bankruptcy can usually be discharged within a few months. Many couples choose to do this first and work out the other details of the divorce while the bankruptcy is in process. Double Asset Exemption: Illinois allows married couples a double exemption in bankruptcy for assets such as equity in your home, personal property, retirement accounts and pensions, etc. Filing bankruptcy before the divorce can ensure you keep most (if not all) of your marital property and assets. 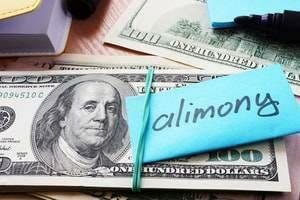 Simplified Debt Division: Deciding which debts belong to which spouse can be a costly and time-consuming process. By discharging these debts through bankruptcy, this process is becomes much simpler. One issue that may necessitate filing bankruptcy after the divorce is income. If the combined income of you and your spouse is too high to qualify for Chapter 7, you may have no choice but to wait until after the divorce. Chapter 13 bankruptcy is an entirely different situation. Chapter 13 is essentially a debt consolidation in which you, your creditors and the court agree on a plan to repay your debts (often at significantly reduced interest rates) over a period of three to five years. If you are considering filing for Chapter 13 bankruptcy, it may make sense to file individually after the divorce is completed. Divorce and bankruptcy can become more complicated when a spouse files on their own during the middle of a divorce proceeding. This creates an automatic stay (injunction) against the creditors and a bankruptcy estate is established that is outside the jurisdiction of the divorce court. When this situation arises, it is important to be represented by legal counsel with in-depth knowledge of how these issues intertwine to ensure your interests are protected. For a free consultation with one of our experienced and compassionate bankruptcy in divorce attorneys, contact our office today at 630-932-9100.